Clay hasn’t had a lot to say at our every-other-week typing sessions over the last few visits. We’re not sure why. Sometimes its allergies. Sometimes he’s tired. Sometimes he just can’t get his body and head organized to share thoughts. Then, sometimes, the words just come tumbling out. He sits right down, puts his arm out for support and doesn’t stop typing until his message is finished. 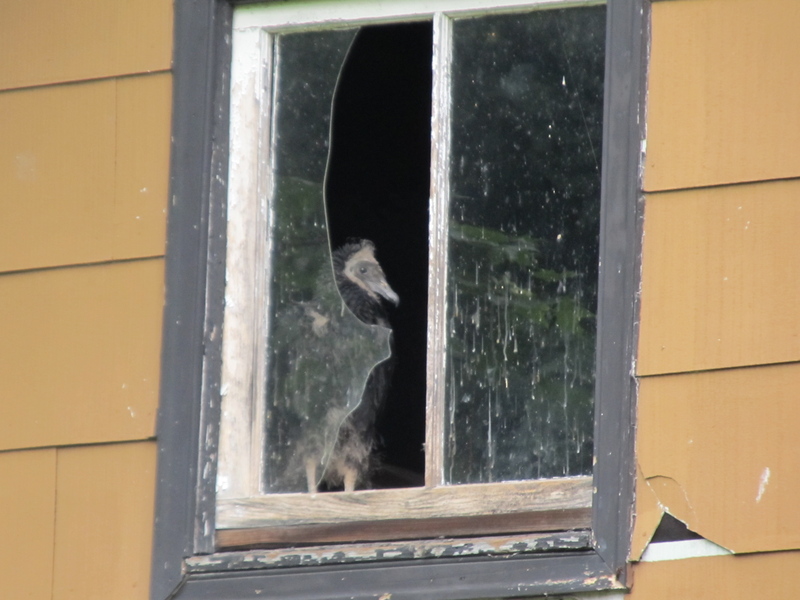 My wife was in our backyard with the dogs one morning last week, when one of the black vultures that have been living – rent free – in our garage popped into the window on the right. 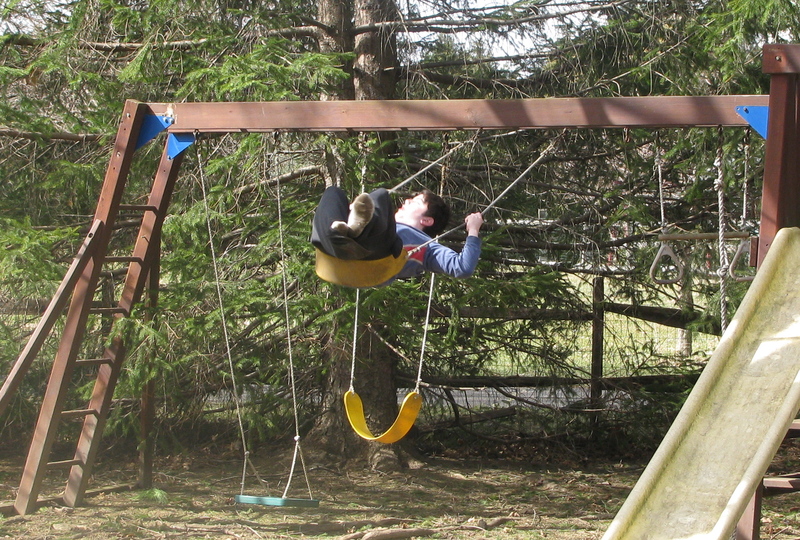 When I heard my wife’s panicked voice calling me from the vicinity of our aging swing set Saturday afternoon, I had a pretty good idea what had happened. I just didn’t know how serious it really was. Follow Life With Clay on Facebook.